Luxury brands were once reserved for the privileged wealthy class in China. After working long and hard, older consumers could purchase luxury goods, but that time and that place have vanished. Due to the rapid economic growth and expansion that has lifted the incomes and aspirations of hundreds of millions of consumers in China, luxury goods watchers and makers have had to drastically revise their understanding of China’s luxury goods market. Chinese Consumers now offer luxury brands a revenue lifeline and many are grabbing for this new Chinese consumer with open hands. Luxury brands were once reserved for the privileged wealthy class in China. After working long and hard, older consumers could purchase luxury goods, but that time and that place have vanished. Due to the rapid economic growth and expansion that has lifted the incomes and aspirations of hundreds of millions of consumers in China, luxury goods watchers and makers have had to drastically revise their understanding of China’s luxury goods market. As wealth has increased, younger consumers have embraced luxury en masse. These younger consumers are excited to be making their own money, they are excited to reward themselves and they maybe even want to show off to their friends. They are also part of an increasingly large middle class that has embraced luxury buying. 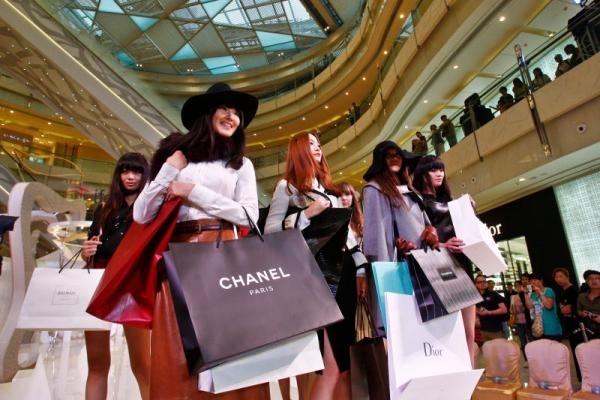 While the richest of the rich have always been able to buy whatever pleased them, it is expansion of sizeable purchasing power to huge swathes of the middle class that will define China’s luxury goods market for the next decade. These newly empowered consumers are looking to get the best (which may be defined differently for this new generation), the newest, the most unique for the best price. What does this mean for international brands looking to enter China? There are three key factors foreign brands should consider before entering China, these include: changing consumer demographics, changing marketing strategies, and changing government regulations. According to a report by McKinsey (2011), “China’s upper middle class currently accounts for about 12 percent of the luxury-goods market, but that share is expected to grow to 22 percent by 2015.” There is a clear demographic shift in China’s luxury consumer market. Earlier this year BusinessWeek wrote, “As Chinese shoppers get better acquainted with American luxury brands, they’re discovering a designer wardrobe doesn’t have to cost months of pay.” Whereas earlier generations of consumers may have paid outsized attention to an item’s cost—and the prestige buying such an item would give them—these trendy shoppers tend to be more interested in the details and styles of their purchases than simply the price tag attached to the item. Brands that emphasize personal style and some degree of practicality will appeal to these participants in China’s luxury goods market. With 2015 just around the corner, luxury retailers will need to change their product offerings and also focus more on the customer experience and the “experience” that consumers receive when purchasing products. Brands that provide a luxury service will also see an increase in profits.Focus should beput on creating, communicating and selling a brand history and experience, rather than just selling expensive products. Brands that embrace this approach will thrive in this new marketplace. Young consumers are interested in establishing their unique style and are becoming more aware of previously less-known brands to fulfill this desire. Reaching this new consumer demographic largely depends on understanding the Chinese digital marketing landscape. The new era of content and social media marketing to the luxury consumer is upon us and brands that do not connect (online and off-line) will have a difficult time providing a full brand experience.Brands must engage their customer through the platforms that they use daily.Chinese customers will post on review sites, share opinions on micro-blogs and write on BBS platforms about their likes and dislikes. In the luxury sector 70-80 percent of purchases are made based on peer-driven social media recommendation. Coach has embraced the strategy of using multiple Chinese social media platforms, and has seen much success. Coach is an accessory brand synonymous with style and luxury. Coach’s “Modern New Yorker” campaign used one of their brand ambassadors, Leehom Wang, to help get the company’s WeChat marketing efforts rolling. Users who entered“Modern New Yorker” onto Coach’s WeChat account would receive a nine-puzzle piece of a photo of Leehom. Then the user would be enticed to upload on their Weibo account once they had put the pieces together for a chance to win a Coach poster autographed by the superstar. Strategies like this encourage the customer to “get to know” the brand and have the full experience that the brand embodies. Government regulations are also playing an important role in the luxury goods market and should not be overlooked.While gift giving remains an important gesture for building relationships, some regulations are likely to affect luxury brands. According to an article by Reuters, “A Chinese government crackdown on lavish spending by officials has pushed expensive liquor and high-end watches out of favor in the luxury gift-giving market.” Some sectors of the luxury market will likely suffer from the changing regulatory environment while others—especially those that are new and may not be covered in the scope of regulation—will thrive. For established companies, effective and efficient marketing strategies and campaigns will become ever more crucial in the coming years. The starting point for Western companies is to understand where their brand(s) have advantage over local products and service providers. Generally, overseas brands (especially in the luxury market) have high levels of perceived reliability and authenticity and, unfortunately for many consumers, high tariffs as well. This perceived reliability and authenticity account for a huge part of interest in overseas brands. This applies to both B2C and B2B markets. Moving forward, international luxury brands in China should move away from marketing solely to the older, wealthier classes and focus more on the younger middle and upper middle classes that are media savvy and interested in a brand experience, not just a product to flaunt their wealth. Treat your Chinese consumers with the greatest of respect because although they love overseas brands, they are quick to share poor experiences and brand loyalty is short lived. Being transparent, honest, and digital will go a long way in convincing younger consumers the brand is relevant and valuable. Digital marketing will allow brands to remain classy and relevant while telling their story to a new generation.